that means early mornings and packing up lunches and snacks for the kids. I won’t lie, the first week is usually fine, it’s the second week that seems to get them all. The thrill of seeing their friends and all the “new” excitement has worn off. 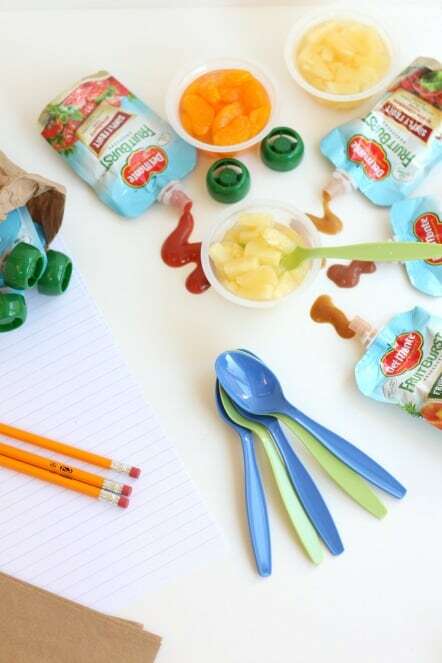 The second week screams for easy.I’m usually rushing around trying to find things to put into their back packs so they won’t starve.My kids love Del Monte Fruit Burst Squeezers, so adding those to their lunches is super easy and I like seeing the smiles on their faces.I like when there are easy and delicious items that they can grab and go with. Their Fruit and Vegggie Burst Squeezers come in Blueberry, Apple Cinnamon and Peach Mango flavors, they have two Fruit only squeezers in Mixed Berry and Strawberry. Wow these flavors are fun, I had many taste testers for these and I liked seeing which one was everyones favorite, one liked the Peach Mango the best, one said Strawberry was their favorite another picked the Apple Cinnamon and I picked the blueberry, no surprise there, I just LOVE blueberry. I really like pineapple too, so the Pineapple Coconut Fruit Cup is just up my alley, what a fun tropical taste! As you are picking up pencils and paper to prepare for back to school, don’t forget to grab some of these, you kids will thank you. 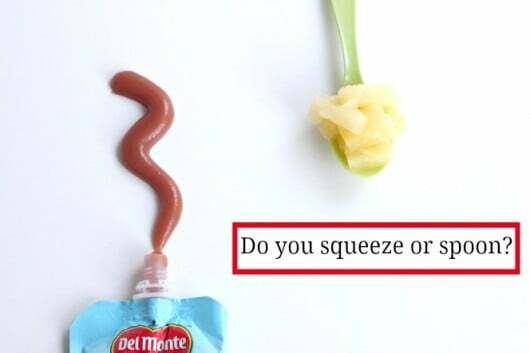 I like that Del Monte’s Fruit Burst Squeezers offer the goodness of 1 1/2 servings of fruits and vegetables, which is a great help to get kids to pack in some of their much needed requirements each day. 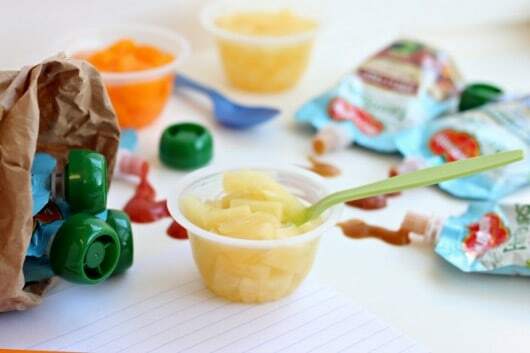 My kids will be taking these to school and they can add the fruit burst squeezers to their peanut butter sandwiches, add it to the top of a bagel with cream cheese, and of course squeeze it right into their mouths. They love that part. When they come running in the house starving, I just point to the cabinet where I keep them and I don’t feel like they will ruin their dinners if they snack on one, they are great when the kids want to dash outside and don’t want to have to do anything to it. For the fruit cups, I try to get them to use a spoon, but truth be told, they just pour those into their mouths too, yes boys will be boys. 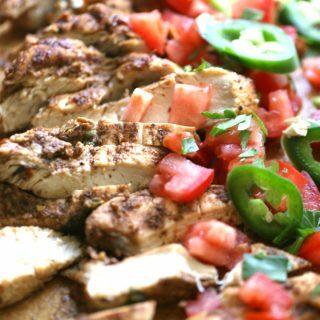 I don’t mind…ok sometimes I say get a spoon, they just laugh. 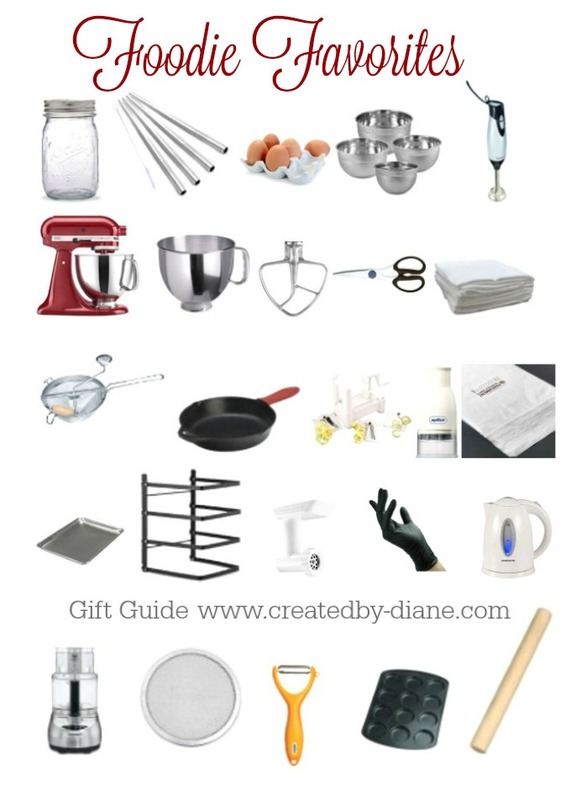 In addition to spooning or squeezing the fruit squeezers are great for adding into recipes. 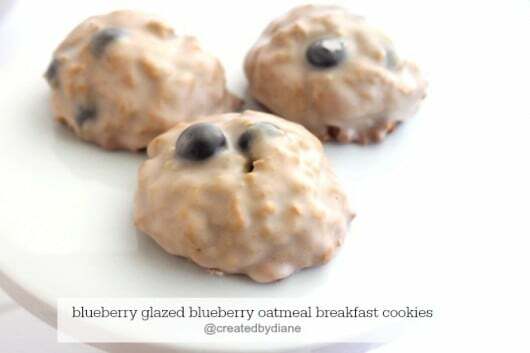 I made some blueberry oatmeal breakfast cookies using Del Monte’s Fruit Burst Blueberry and the flavor is so delicious. 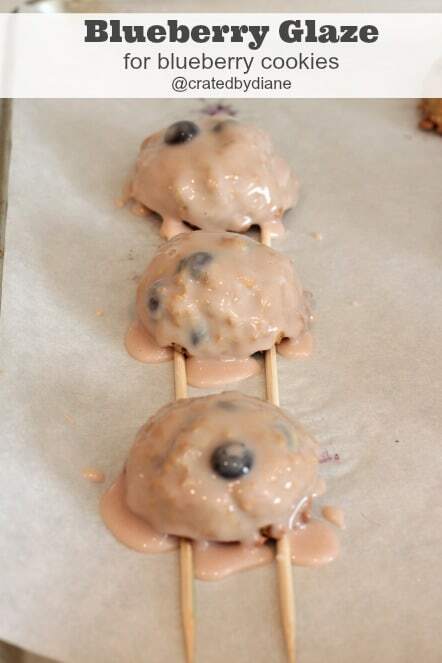 I even used a fruit burst pouch to make some blueberry glaze. 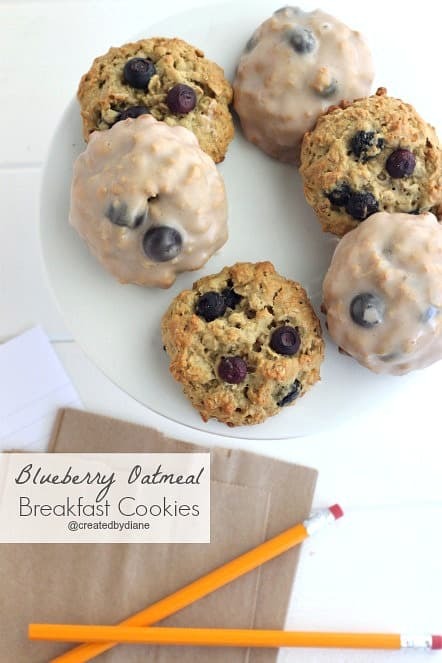 These cookies were made with less fat and sugar than regular cookies and have the added fruit which makes them perfect for an on the go breakfast on those days I mentioned…you know the second week of school types of days. bake at 350 degrees for 15 minutes, or until the cookie dough is firm and a toothpick comes out clean. 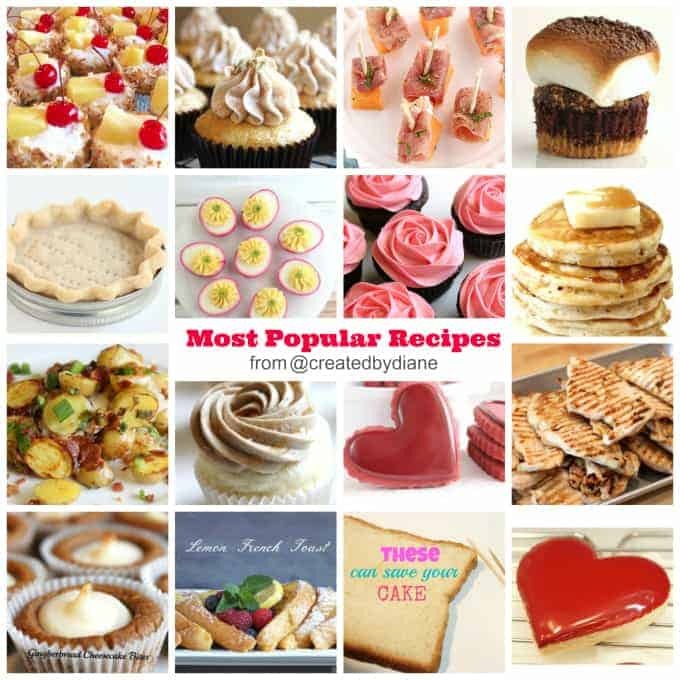 Squeeze or spoon, icing or plain, there are sure to be someone you will enjoy with these great fruit flavors. I love the idea of having a bunch of these ready to go for quick start mornings! And don’t even get me to thinking about the fact that school is about to start again soon. It doesn’t seem right! I love breakfast cookies! And I love the blueberries in these. They’re so cute! These are brilliant, Diane, love that glaze! We like to spoon to develop eye-hand coordination 🙂 Although squeezing may be less messy. Well one kid likes a spoon and the other kids likes to squeeze, I myself prefer a spoon. They love to squeeze it is more fun. 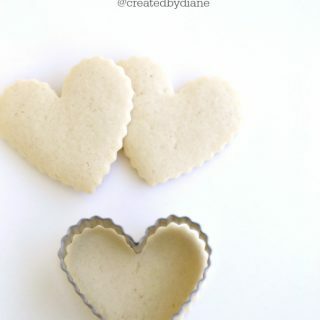 Not entering the giveaway because I’m a Canuck, but just wanted to say how much I love these cookies. I mean blueberry in a cookie, for breakfast, you are a genius. I love the squeezers. They are so neat and no mess to clean up at all. Can’t wait to try your awesome cookies too. I squeeze and the hubby spoons, but we still manage to get along. we like to squeeze in this house! my kids love anything (food or drinks) that they can squeeze out of a bottle. We spoon but will have to try the squeezable snacks. My kiddos love to squeeze! We do both — spoon and squeeze. Squeezing is so much cleaner! My family would all prefer to use a spoon. The kids in my life prefer to squeeze as we are constantly on the go. We squeeze, it’s so easy on the go. My 4 year old daughter enjoys to spoon and squeeze! But if she had to choose just one way she would probably go with SQUEEZE! 🙂 I myself would have to go with spoon though. My daughter loves the squeeze bottles. They are so handy on trips. 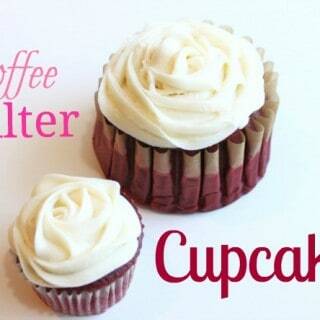 For days when I am running out of the house, these sound like a genius idea! Actually we do both! One kid squeezes, the other spoons! I am a spooner but my grandbabies are squeezers. In our household we like to squeeze. Less mess and easy to take on the go. Thank you so much for the opportunity to enter. 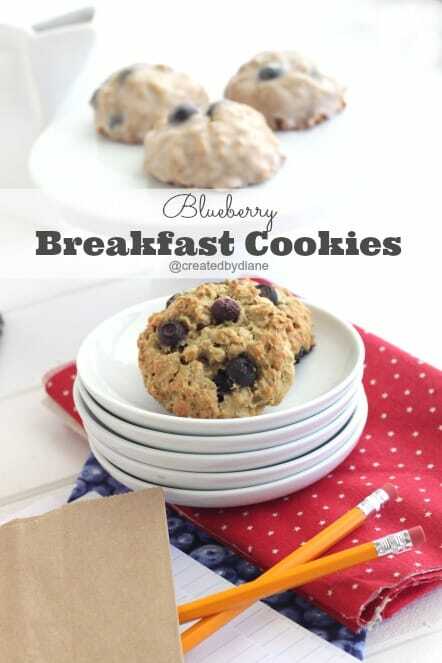 These breakfast cookies look so good – a have to make! I squeeze. It is less messy. I like a spoon, but the kids prefer to squeeze. We are squeezers! 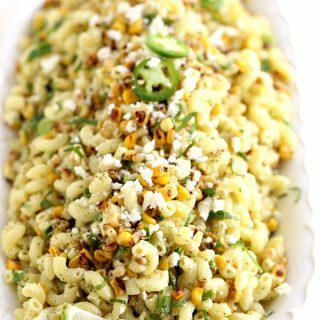 So convenient and delicious! I may be paranoid, but I spoon because I fear the BPA in those pouch liners! The grandkids love to squeeze. It’s the novelty plus the convenience of taking it anywhere they want.